99 Cent Dr. Sixgun Bonus! The brand new Dr. Sixgun radio set is only 99 cents through February 11th, when you place any order for $25 or more. Use Coupon Code 99CentCD for the Audio CD set or 99CentDownload for the download version. 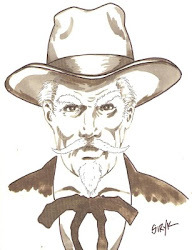 Dr. Sixgun is an American Western radio drama that aired on NBC from September 2, 1954 to October 13, 1955 as a 30-minute sustaining series. All known surviving episodes of Dr. Sixgun are from rebroadcasts from the Far Eastern Network in Japan of the Armed Forces Radio Service. Dr. Grey Matson, played by Karl Weber, is a frontier physician based in a small western town in the 1870s called Frenchman's Ford. The stories are told by a recurring character named Pablo, played by Bill Griffis, a gypsy peddler who has a talking raven named Midnight as his sidekick. As his name implied, Matson was equally at home with using a gun or using his medical skills to solve problems. Stories include the topics of immigrants in the "The Night Riders", gun control in "No Guns in Rail End", and water rights in the show "Valuable Water Rights". 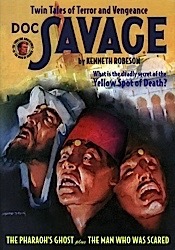 The series was written by Ernest Kinoy and George Lefferts. The announcer is Fred Collins and was directed by Harry Frazee. 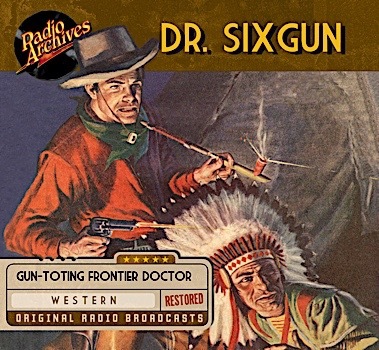 Dr. Sixgun is fully restored by Radio Archives for outstanding audio quality. Having troubles ordering from the website? They called Secret Agent “X”, the Man of the Thousand Faces. Armed with his irresistible gas gun, wearing impenetrable disguises, “X” infiltrates the darkest corners of the Underworld to crush all crime czars! From the macabre maze of a labyrinthian world, the Skull, master of murder, reached out and destroyed the brains of mighty financiers. Money kings were his meat. 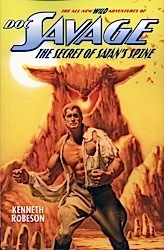 And the law could not protect them... Only one man could match brains with the sinister Skull—and that man was Secret Agent ”X”. But the Skull did not fear “X.” For “X”—the Man of a Thousand Faces, a thousand personalities, a thousand tricks—had one vulnerable spot. And the Skull knew where it lay. The enigma of enigmas, Secret Agent “X” has been deputized by a high government official to battle the darkest, most diabolical enemies of America before they sink their poisonous fangs into the nation’s healthy core. Faceless and unsung, “X” infiltrates these threats in a bewildering array of disguises. 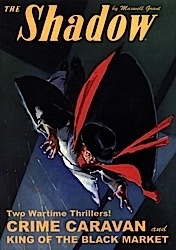 A nameless mystery man with a wartime past in the Intelligence service, declared dead by the Department of Justice, and backed by a shadowy group of powerful philanthropists, Secret Agent “X” took on the toughest assignments of the dirty thirties. Operating out of the half-haunted Montgomery Mansion, “X” was also known as the Man of a Thousand Faces. A past master of disguise, he infiltrated the Underworld to crush crime in all of its hideous manifestations. 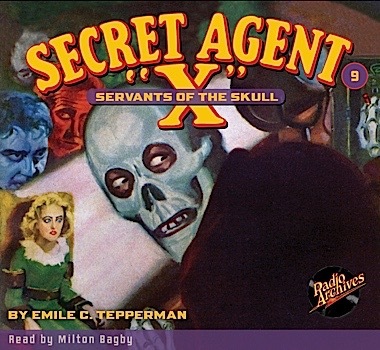 Follow the Man of a Thousand Faces as he confronts the menace of Servants of the Skull, ripped from the pages of Secret Agent “X” magazine, November 1934 and read with chilling intensity by Milton Bagby. Check out all the items at great prices in the Bargain Basement including a large selection of Audiobooks. Supplies are limited. Nothing pleases me more than to receive one of Radio Archives' albums with its clear sound and excellent packaging. Through my years of collecting classic radio shows I've always wondered at the divide between pure entertainment shows and what I call serious radio. By serious I mean programs such as Pulitzer Prize Playhouse and the classical music programs, such as Toscanini and the NBC Symphony and the New York Philharmonic programs. Also, I include in this category, the Orson Welles drama shows of the 1930s, such as the Mercury Theater and Campbell Playhouse programs. These too are part of classic radio, and shouldn't be forgotten. In fact, I would say that they are something that gives classic radio its legiitmacy in the public eye. Radio was an important part of American life, in all its features. Thanks for your excellent background information on the programs available. I have never heard old radio shows of higher AAA quality shows than yours. Thank you. 3. Email Reply to this email with what you want to order. Payment information will be sent to you. Secret Mission #3: “Corsica” by Don Smith. Phil Sherman is in Bairut waiting for a plane to Paris when he meets Maximilian Mortimer, an American narcotics agent working out of France. When Mortimer learns that Sherman has in electronics export business in Paris, he enlists his help in discovering secrets in transporting, which could explain how heroin is being brought into France from China, and then shipped to America. 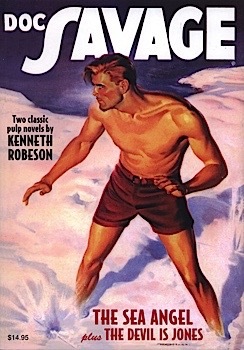 Sherman becomes friends with one of the suspects, Louis Ricard, and unravels the mystery, but nearly losing his life doing so. 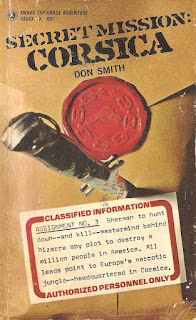 Typical of the series, with Sherman’s connection to the export business, he’s pulled into secret missions by the government officials – usually the CIA, and he is thrown into deadly confrontation with men who would kill him without second thoughts. As usual, a fun read also. Anna Zordan #2: “Little Dragon From Peking” by James Eastwood. In this second story, Anna has been requested to attend a party by the “family”; a ruthless family that came out of Nazi Germany and now control a vast estate and power. The matriarch is old and dying, but wants one more successful achievement before her death; one that could mean a massive loss of life in Europe followed by another World War. 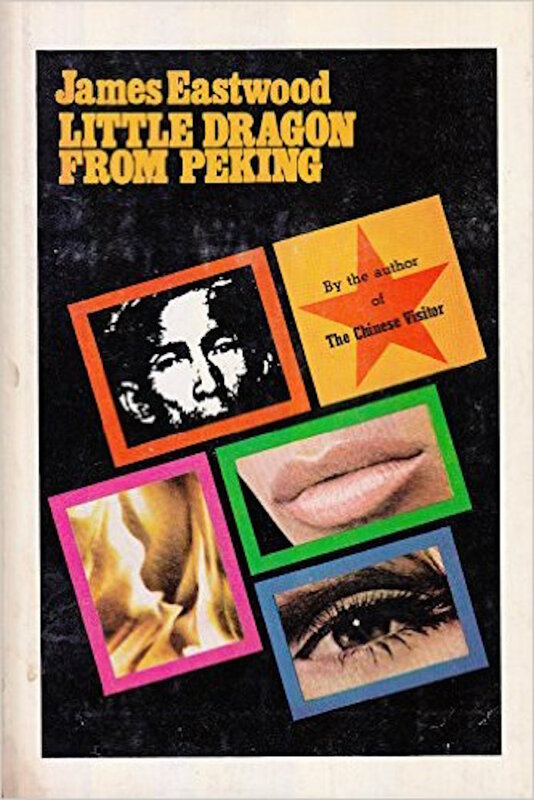 Anna is recruited to assist in the scheme, and all she knows is the code, Little Dragon, which Peking is sending. In fact, she is sent to meet the Little Dragon, and be a part of the final plans of the old woman. This was a better novel than the first issue, and we see much more of Anna Zordan, and appreciate her ability as a British secret agent. Lots of fun. 99 Cent Escape, Volume 5 Bonus! The brand new Escape, Volume 5 radio set is only 99 cents through January 28th, when you place any order for $25 or more. * Use Coupon Code 99CentCD for the Audio CD set or 99CentDownload for the download version. "...designed to free you from the four walls of today for a half-hour of high adventure..."
Movies, not radio, was where one of Escape’s legendary directors; William N. Robson, made his first foray into the West Coast’s entertainment industry. Upon graduating from Yale University, he obtained work at Paramount Studios - where one first screen credits as a writer was for the 1933 movie Private Jones. From Paramount, Robson transitioned in radio at CBS in 1936. Seven years later, he went on to win two George Foster Peabody Awards for his work on the drama series Man Behind the Gun and the documentary Open Letter on Race Hatred. He also produced, along with writing and directing: the Columbia Workshop, Suspense, Escape, Luke Slaughter of Tombstone and Doorway to Life. While Robson would go on to win additional Peabody Awards for later work on radio productions, his professional reputation suffered a bit after being incorrectly identified as a Communist supporter/sympathizer in the 1950s. While actor William Conrad is perhaps best known as being the voice of Escape, the long running radio series had a total of five different narrators during its almost seven-year run. 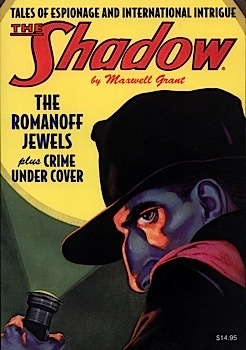 In addition to Conrad; Eric Snowden, Paul Frees, Lou Krugman, and Gerald Mohr brought the opening narrations of the radio series to life each week. 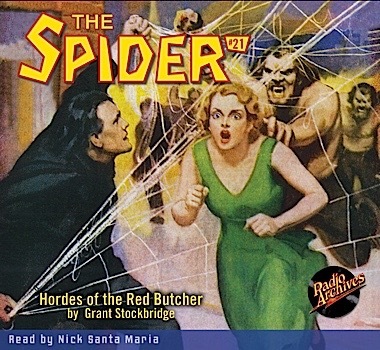 Conrad and Frees are considered by many aficionados of Old Time Radio the best narrators of the series because of their deep-toned inflections helped to give the show additional gravitas. It was Krugman and Frees, though who narrated the final season of the radio show. 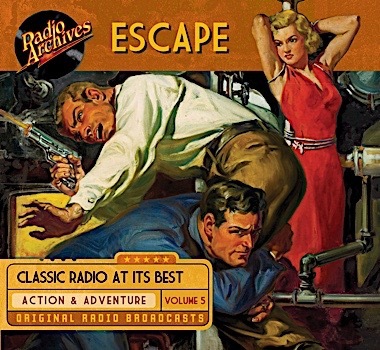 Quite a few of the West Coast character actors from Radio’s Golden age that frequently appeared as guest cast members in Escape went on to be the leads in their own radio shows. Among Escape’s guest stars who went on to be the leads in their own radio shows were: Gerald Mohr as Phillip Marlow; William Conrad as Sheriff Matt Dillon in Gunsmoke; Jack Webb as Sgt. Friday in Dragnet; and John Dehner as Paladin in the radio version of Have Gun – Will Travel. Of the more than 200 episodes originally broadcast, there are but a mere handful of Escape programs that are missing today — wonderful news for the novice listener, as hours and hours of great and rewarding radio drama await. Escape, Volume 5 fully restored by Radio Archives. In the gaunt desolation of those dark Kentucky hills, the Dixie Limited, crack flyer, stood gutted of all living passengers... The Spider, the only survivor, stood alone at that bleak scene, vowing silently, solemnly, to destroy the ambition-mad arch-criminal who had plotted this wholesale ruin. For this, and manifold like disasters, were occurring everywhere in the land — at the direction, Richard Wentworth knew, of some diabolical brain which was unleashing hordes of primitive barbarians to lay waste to civilization. But later, at the very moment when the Spider should have struck his most telling blow, he was pacing a narrow cell in the death-house at Sing Sing! Nick Santa Maria reads Hordes of the Red Butcher with the crackling intensity you have come to expect of his superb talent. Originally published in The Spider magazine, June, 1935. 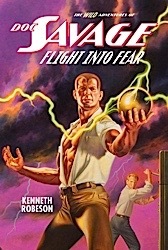 A desperate plea for help plunges Doc Savage into a maelstrom of horror aboard the Hong Kong-bound liner Mandarin, where the depraved minions of the phantom predator, Quon, hold sway. 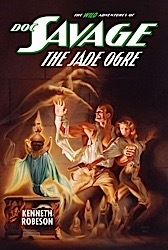 As innocent passengers succumb to the insidious Jade Fever, and ghostly talons pursue Doc’s beautiful cousin, Patricia, the mighty Man of Bronze races to solve a riddle that defies reason. 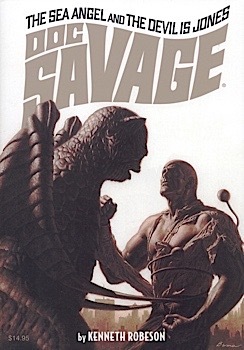 An ultra-secret State Department mission code-named Moonwinx propels Doc Savage from the concrete canyons of Manhattan to the icy black waters of the Arctic sea, and deep into the frozen heart of Cold War Russia in a daring Flight into Fear. Targeted for assassination by the Kremlin and fated for a confrontation with a nemesis more violent and vicious than any he has faced before, the Man of Bronze must evade a faceless executioner known only as The Red Widow. Thank you for restoring the entire "Chandu The Magician" serial! I wanted to let you know how much I enjoyed the LIE CATCHERS. It is a mystery from a totally fresh point of view! 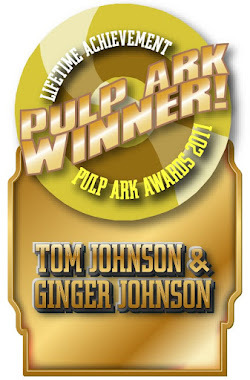 The story was very engaging, and I couldn't change the CD's fast enough! My friend is a Mystery nut and very particular and critical of mystery stories. But, he loved the LIE CATCHERS! Please make more audio books of the rest of the series! Since your products are a very big part of my life, and you seem like a really terrific guy, I wanted to wish you and your family the best of the New Year. Your latest newsletter promised great things in 2016 and I am hoping to hold you to that promise. Thanks again for all the listening thrills you have provided!